1. Virtualization is the ability to run multiple operating systems on a single physical system and share the underlying hardware resources. 2. It is the process by which one computer hosts the appearance of many computers. 3. Virtualization is used to improve IT throughput and costs by using physical resources as a pool from which virtual resources can be allocated. 1. A Virtual machine (VM) is an isolated runtime environment (guest OS and applications). 2. 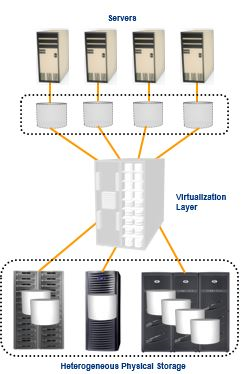 Multiple virtual systems (VMs) can run on a single physical system. · Sharing of resources helps cost reduction. · Isolation: Virtual machines are isolated from each other as if they are physically separated. 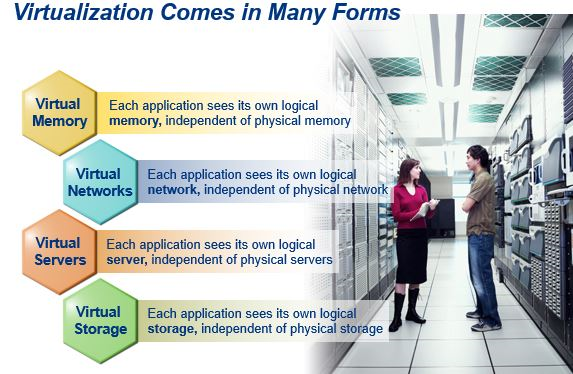 · Encapsulation: Virtual machines encapsulate a complete computing environment. · Hardware Independence: Virtual machines run independently of underlying hardware. · Portability: Virtual machines can be migrated between different hosts. • You don’t need to own the hardware. • Resources are rented as needed from a cloud. – Choose the OS and software each instance will have. – The chosen OS will run on a large server farm. – Can instantiate more virtual servers or shut down existing ones within minutes. • You get billed only for what you used.  Not designed to scale in the multi-petabyte. – Addition of new arrays for capacity enhancement. Ø Cost and management overhead. Ø Increased time to market.  Can address transactional and distributed computing. – But fell short for Internet Era requirements. – Designed for Operation Within IT’s Walls.  To deal with Internet Era data growth. – A massively scalable infrastructure is required. – One that offers global data distribution, self-healing, self-management, and multi-tenancy features.  A Cloud approach to storage. – A cost effective approach to handling internet era data growth. – Focusing on five key infrastructure requirements.  Process of presenting a logical view of physical storage resources to hosts. 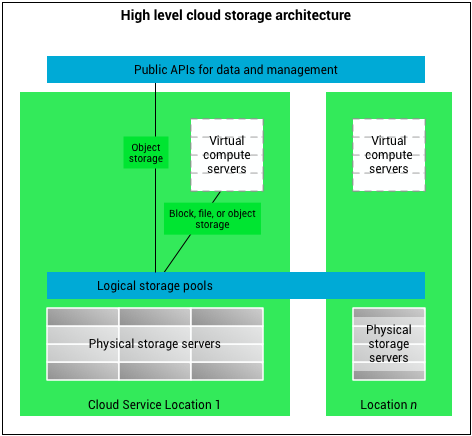  Logical storage appears and behaves as physical storage directly connected to host. • Several large Web companies are now exploiting the fact that they have data storage capacity that can be hired out to others. – allows data stored remotely to be temporarily cached on desktop computers, mobile phones or other Internet-linked devices. – Amazon’s Elastic Compute Cloud (EC2) and Simple Storage Solution (S3) are well known examples. · IaaS offerings give you servers and connectivity. 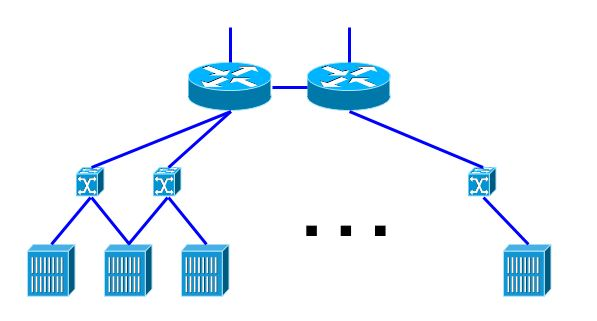 · Customer: configure middle box (firewall, load balancer), VPN, route selection. 1. Shift towards hosted and shared infrastructure. a. Can help management of private infrastructures. 2. Worth exploring an alternate to the IaaS model. 3. Some challenges in the single router platform.